This topic came to mind because of this week’s news story about the amazing career move by Jeremy Meeks. 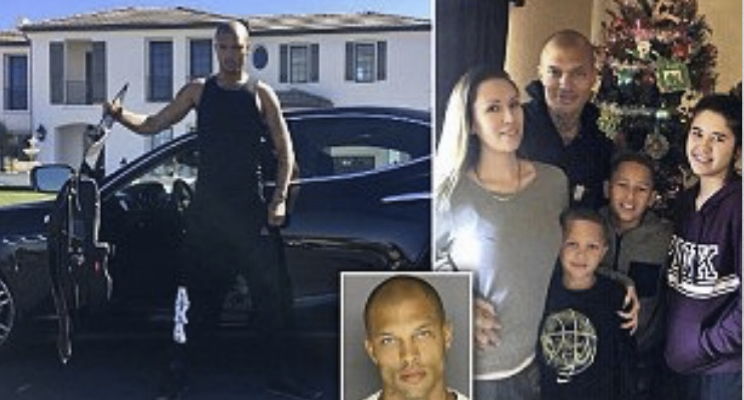 Better known as the “Hot Mugshot Guy,” Jeremy went directly from gang member and convicted felon to high-earning male model after serving his jail time. In a weird twist of Facebook fate, his success hinged on his arrest photo. When it went viral in 2014, modeling agents took note of his strikingly handsome face and his even more attractive following… Jeremy had women all over the world posting, “I’d like to be locked up with him!” As a result, he was signed to a lucrative modeling contract. Nobody focused on his prison record because they were focused on his looks. This was a life-changer for Jeremy and his family, who now live in a mansion and ride around in a new Maserati! Good for him, but what about you? Well, if you are exceptionally attractive, then this should boost your confidence, which in turn adds to your attractiveness. In fact, some psychologists think that the synergy between beauty and confidence may be why attractive people may do better in sales. So apparently, beauty is the gift that keeps on giving! Even if you are not a “Jeremy,” it’s important to make an effort to look your best when you present at meetings. While that may have nothing to do with your service offering, it has everything to do with your ability to influence decision makers. This is where you might be thinking, “That’s not fair.” Agreed – unconscious bias is not fair, but it is proven to exist and to influence big decisions… including your own. WARNING: Whether you are attractive or not – be aware of your own unconscious bias to like and give added consideration to attractive people. Let me be clear: attractive people may be everything you hope: intelligent, competent, productive and supportive. This is not in any way suggesting that you can’t be attractive and have these other great qualities. However, unconsciously, you may be attributing some positive qualities to attractive people that they don’t have, simply because you find them attractive.